If you own a new or new to you, BERNINA embroidery machine, this class will help you master the features of your embroidery module. 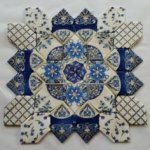 Paper piece the Cadence Court pattern by Sassafra Lane in this new Block of the Month with Bonnie Fletcher. Do you have a NEW or new to you Elna or Juki sewing machine? Learn proper threading, how to wind the bobbin, care of the machine, changing feet, and all the ins & outs of your machine. 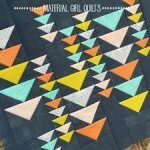 Bring your machine and join Melanie as she walks you through making these fun blocks. Make as many blocks as you like in either size. 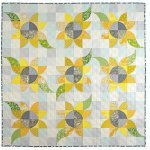 This monthly club features tip and techniques for long arm quilters. It doesn't matter what brand of long arm quilting machine you own! Bring any project you're working on and Bonnie will be here to help.